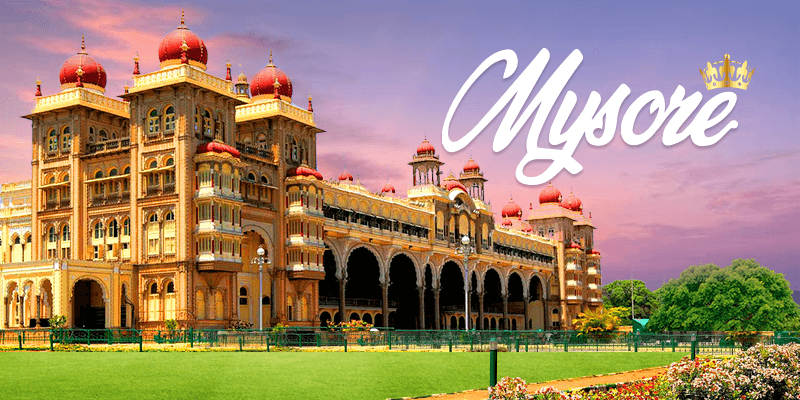 Apart from being the second largest city in Karnataka, Mysore (or Mysuru) boasts of a charming heritage of both old and the new worlds. Tourist places in Mysore include various traditional structures, historic palaces, revered temples, glorious festivals and delicious food! But the foremost attraction among the Mysore tourist places is the Mysore Palace which was the seat of power for the Wadiyars, Hyder Ali and Tipu Sultan. All these great rulers were great patrons of art and culture, helping Mysore city become the “Cultural Capital of Karnataka”. As you can already fathom, Mysore sightseeing promises much. 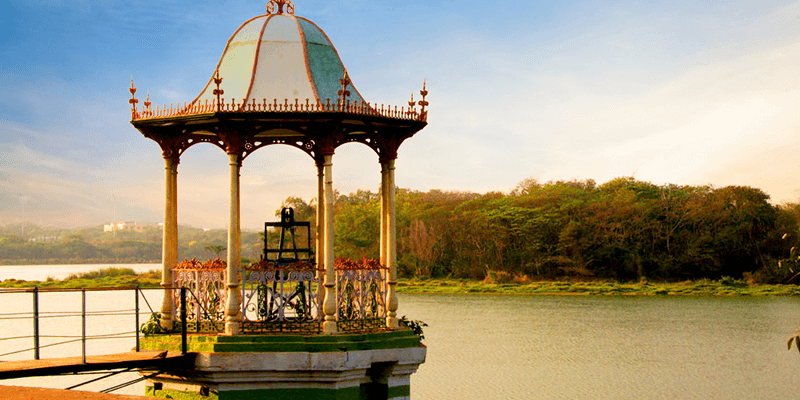 You cannot miss the vibrancy and effervescence of Mysore. So let’s take a ride across this mystical and magical heritage city. The best way to reach Mysore city is to take a train for Mysore. Or if you want to travel by flight, the nearest airport is at Bangalore. But you can get buses as well as outstation cabs from Bangalore to reach Mysore. 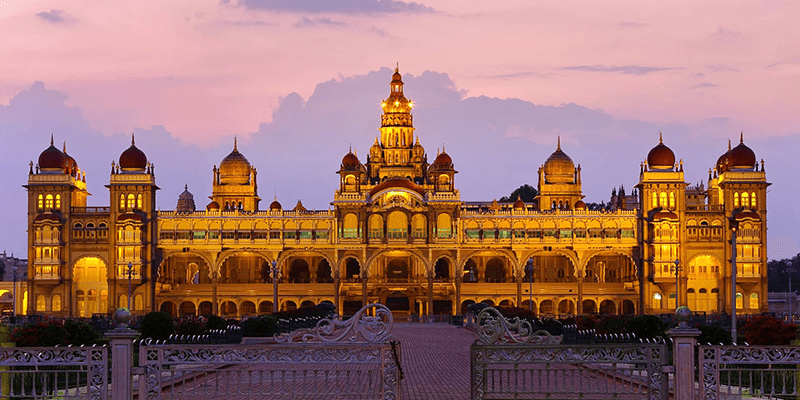 During your Mysore sightseeing trip, your first stop would be definitely the grand Mysore Palace. It is one of the largest palaces in India and the present structure was re-built in 1912 after the original wooden palace was burnt in a fire accident. A portion of the palace is still used by the royal family as their residence. Interiors of the Mysore Palace are well known for their grand architecture. It includes a mix of traditional Mysuru carvings along with European extravagant designs. Also known as Amba Vilas Palace, this large palace has three entrances – the East Gate, the South Gate and the West Entrance, all of which is open for the visitors. As aforementioned, the interiors of this palace will dazzle you with their designs. One can view the chandeliers with stained Belgian glass on the ceiling, arranged in peacock designs and a glorious jewel-studded golden throne made with over 200 KG gold! Mysore Palace receives, on average, 6 million tourist footfalls; making it the second most visited monument in India (after Taj Mahal). And the tourist footfalls significantly increase during the glamorous Mysore Dussehra event. On Sundays and other public holidays (including the Mysore Dussehra) the Palace is lit up at night and it is a sight to behold. Apart from this there is a special light and sound show organized within the palace which is also a must watch. 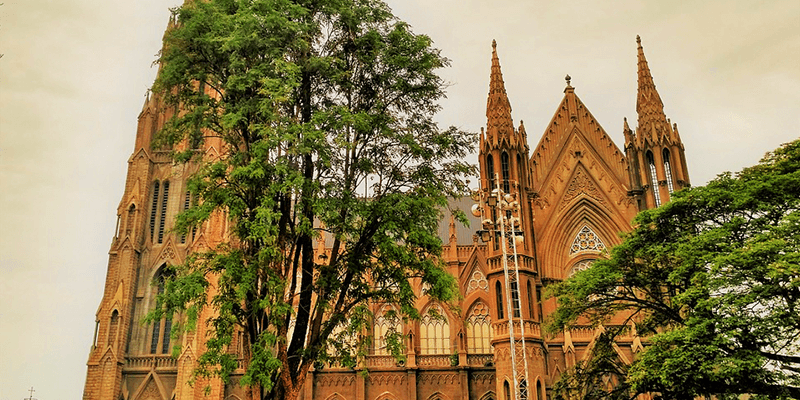 Also known as St. Joseph’s Cathedral, the church is a marvelous example of the Neo-gothic style of architecture. St. Philomena’s Cathedral is one of the tallest churches in Asia and was constructed in 1843. The church is designed in the shape of a cross, with the main prayer hall being the nave. The stained glass windows inside the cathedral depict scenes from Jesus Christ’s birth, the Last Supper, the Crucifixion and the Resurrection. The congregation hall of the church can accommodate up to one thousand people! If you like bird watching or just admiring the beauty of nature then a visit to Kukkarahali Lake should be in your list of places to visit in Mysore. This wonderful lake is situated in the heart of Mysore and its shores are mostly filled with many species of birds. The Kukkarahali Lake was built in 1864 and is spread over an area of 120 acres. Apart from various migratory birds, the lake is well known for its aquatic life. There are more than 200 species of fishes present in the lake. The annual boat pulling competition held at this lake is a significant crowd puller. Located on the banks of Karanji Lake is this extraordinary museum known as the Regional Museum of Natural History. This museum is a real treat for the naturalist and the history lovers. 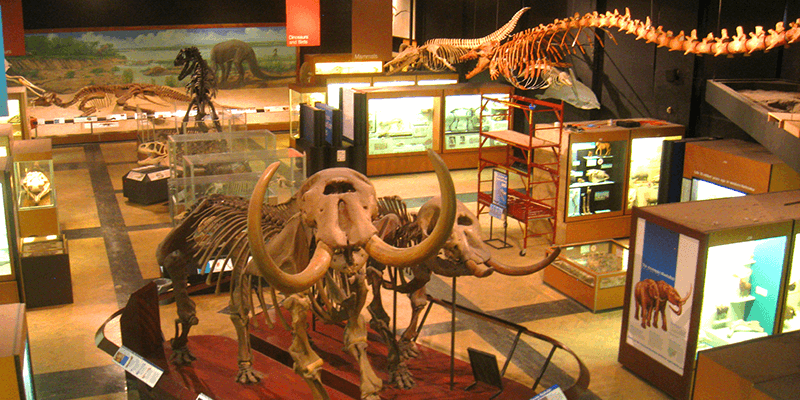 The museum displays plants, animals and geology of the country and the world. This museum is divided into various sections such as Environment, Ecology, Life through Ages, Biological Diversity and Conservation for Development. The Regional Museum of Natural History in Mysore also promotes various social causes through its exhibits (such as environmental issues). There are many metallic exhibits on display at the lobby itself raising awareness about the endangered animal species. 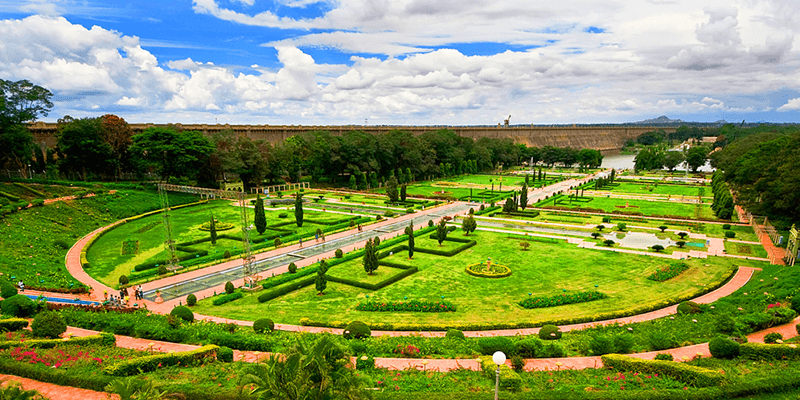 Brindavan Gardens are one of the most intricately-designed green areas in the city. This marvelously designed garden is situated below the Krishnaraja Dam. The gardens took five years to complete and its design is based on the looks of the Shalimar Gardens of Kashmir. It is enriched with fountains, terraces, cascading water channels, lush green lawns and seasonal flowers throughout the year. The musical fountains are one of the prime attractions of this beautiful garden. Apart from this, tourists can boat along the southern and northern park ponds. 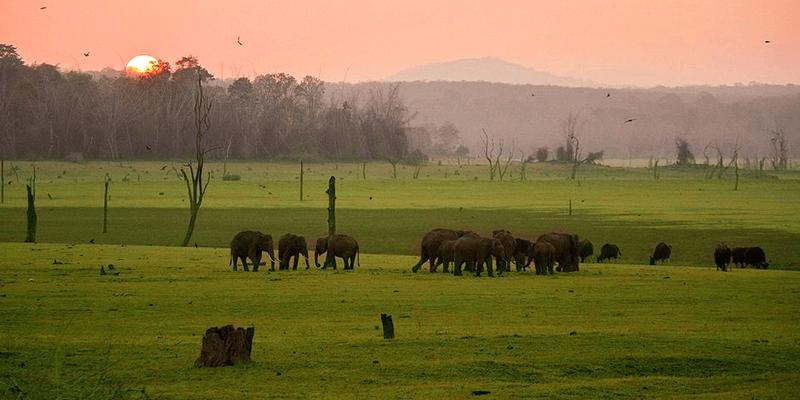 Nagarhole National Park (also known as Rajiv Gandhi National Park) is one of the foremost tourist places near Mysore and often coupled with a Mysore sightseeing trip. This national park is spread across the Mysore and Kodagu districts of Karnataka and is well known for its forests. Nagarhole national park was originally a hunting ground for the kings of Mysore and was converted to a sanctuary back in 1955. The park has a rich green cover along with small streams flowing across the area. One can spot many beautiful waterfalls within the national park during the monsoons. Animals like white tigers, sloth bear, spotted deer, hyenas, leopards, barking deer, sambar, rock python, wild boar, marsh crocodiles, slender loris, civets, otters and even flying squirrel are found at Nagahole National Park. During the months between November to February, more than 250 rare species of birds nest within the park. Mysore promises an unforgettable experience to the tourists. So, when are you visiting this grand city? Next articleHow to spend 48 Hours in Amritsar? Mysore boasts of a charming heritage of both old and the new worlds. This article includes 6 best places to visit in Mysore. This blog is very illuminating and educative. Thank you for posting this article.